Diamonds have always a very special and unique appearance. 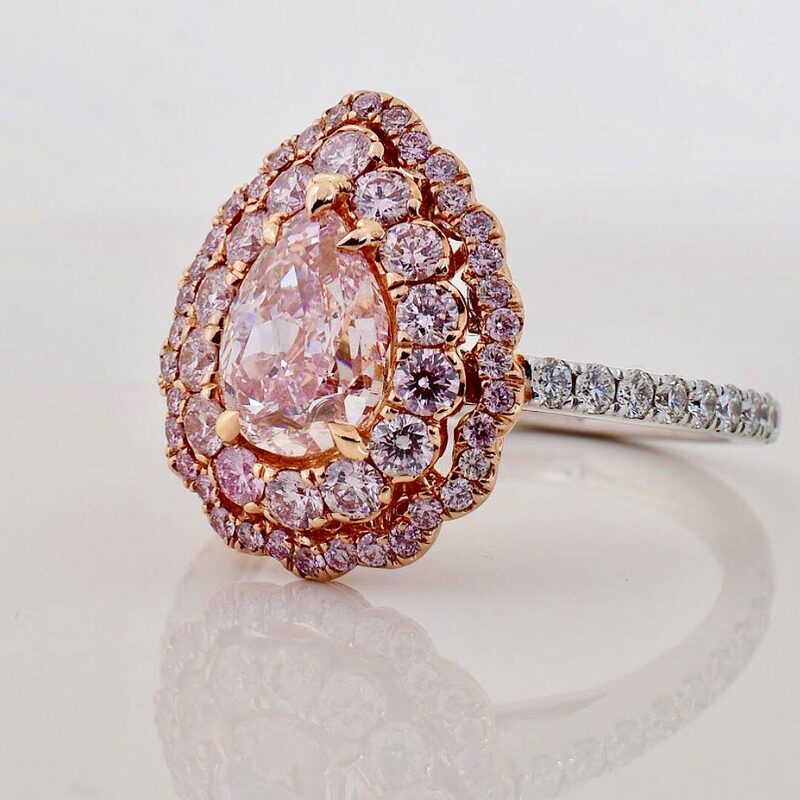 In addition to classical, colorless diamonds, which are especially popular for engagement rings , they exist in many different colors – the so-called Fancy Diamonds. Her name is derived from English: fancy means failed or extravagant. 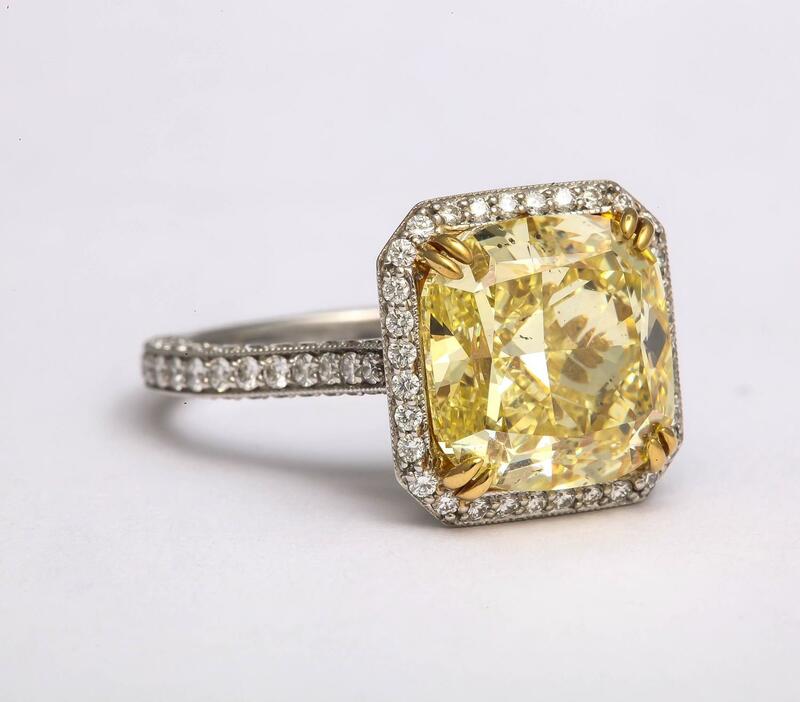 The colorless diamonds color grading scale ranges from D (very fine white) Z – diamonds in this color have a clearly tinted yellow. However, these diamonds do not count to the precious Fancy Diamonds. 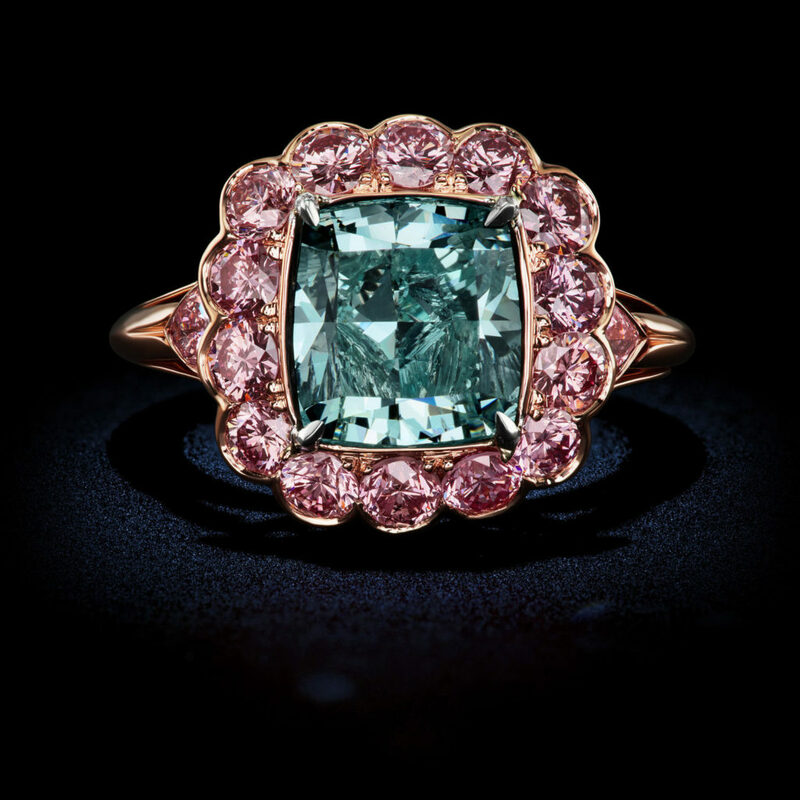 A more intense colouring, which is deeper than the color of Z to settle, and exhibit a stronger coloring, are not assigned to the fancy diamonds. 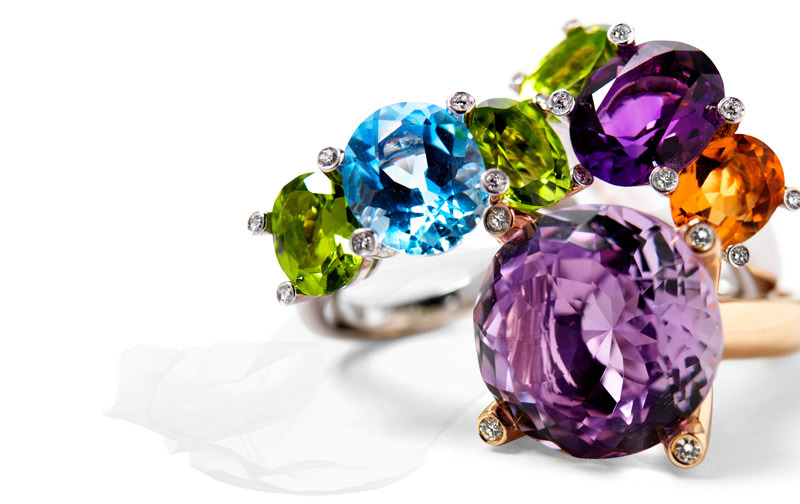 Colored diamonds are much rarer than colorless or white diamonds. 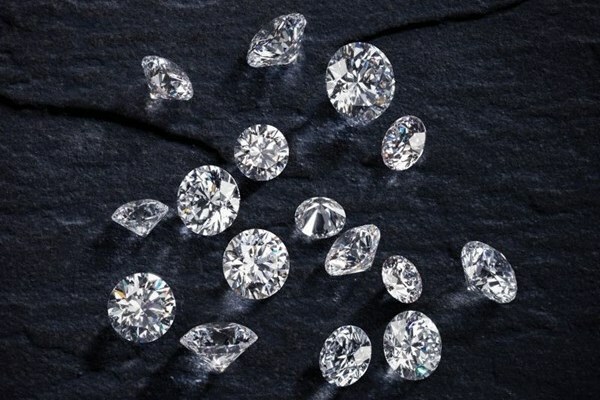 Under 10,000 found diamonds is only a Fancy Diamond. Due to their rarity, they are particularly valuable. So far, about 300 color varieties are registered – but although the rarities in the colors of red, pink or blue are particularly precious and popular, especially the personal taste decides when selecting a color. 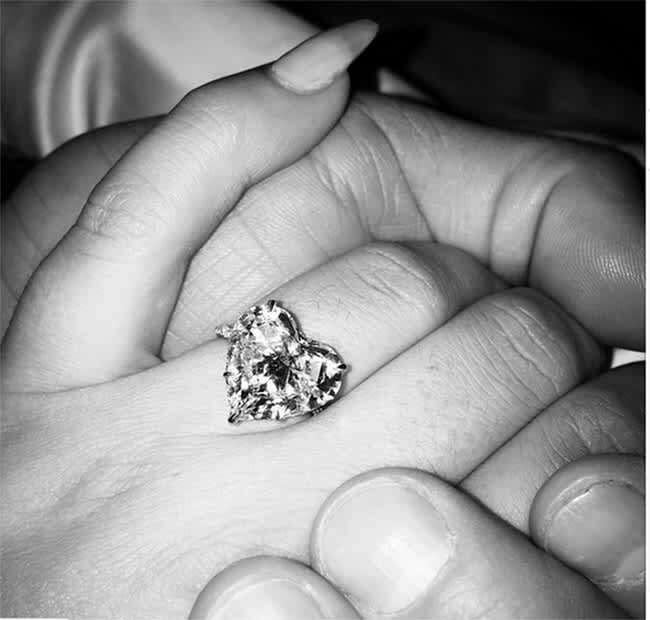 As colorless diamonds are also Fancy Diamonds on the basis of the GIA (Gemological Institute of America) developed 4 C rated. However, the individual criteria are weighted differently. 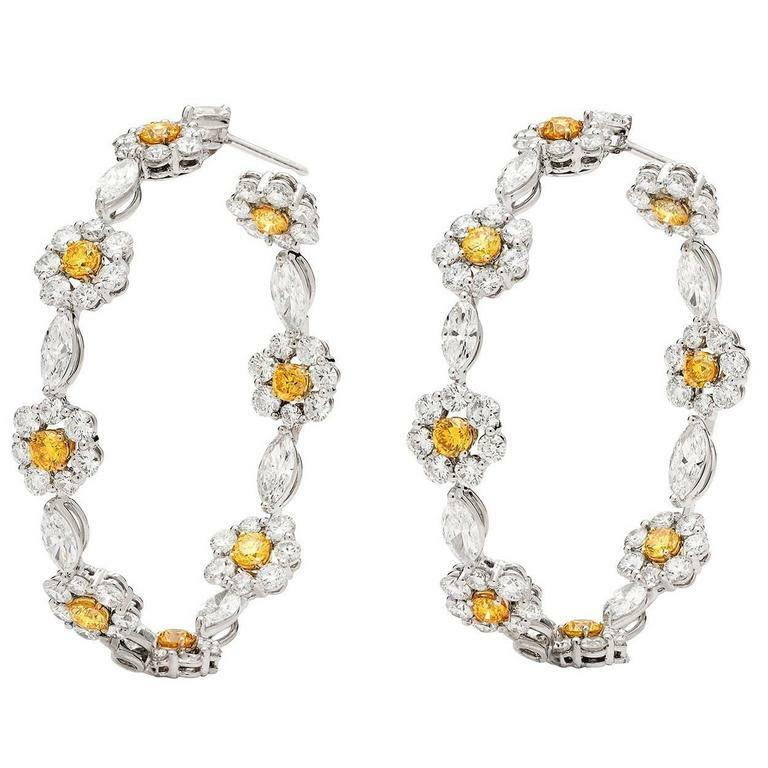 Color (color) is most famous for beauty and value of colored diamonds. While both the hue and the intensity of color play a crucial role. 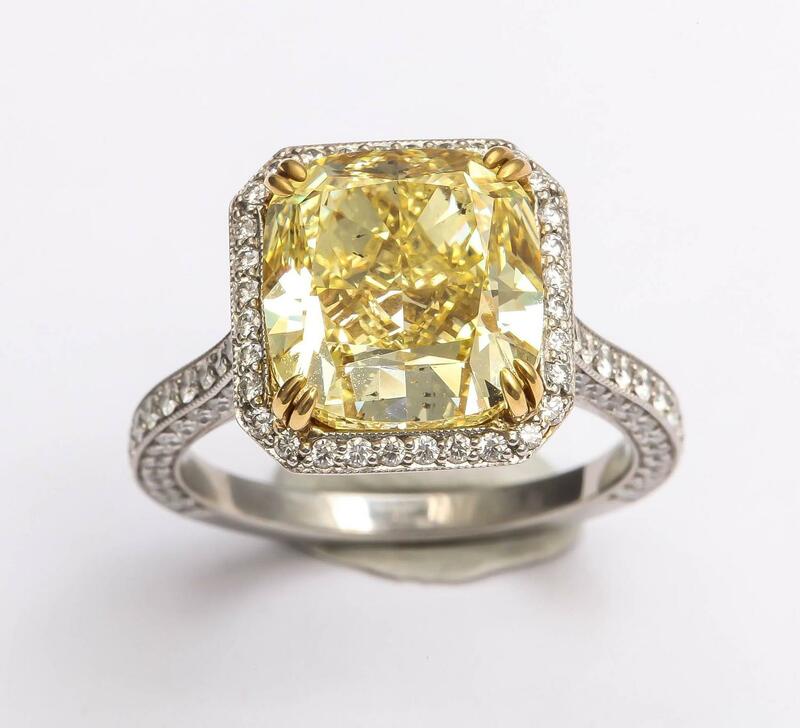 The more intensive and bright color, the diamond is even more valuable. The GIA has developed its own color terminology for fancy diamonds, which takes into account both the colour and its intensity. This ranges from the light, less intense colours Fancy Light to the vigorous Fancy Deep. The most valuable are diamonds in Fancy Intense and Fancy Vivid, have a medium color brightness and high color intensity. 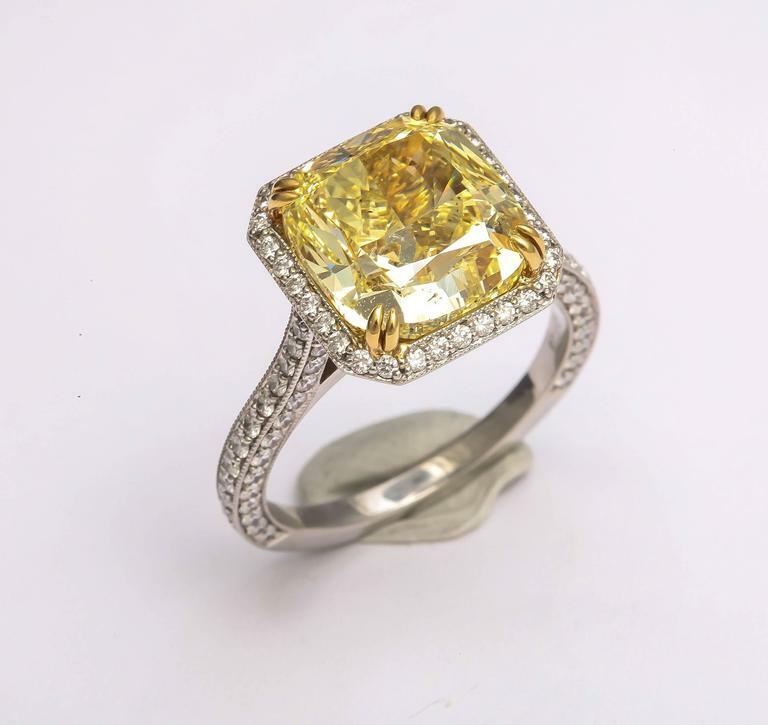 Especially the task comes to a colored diamond polishing, to enhance the color and to stress. So it may be that an excellent touch with ideal proportions is not in favor of the color intensity. 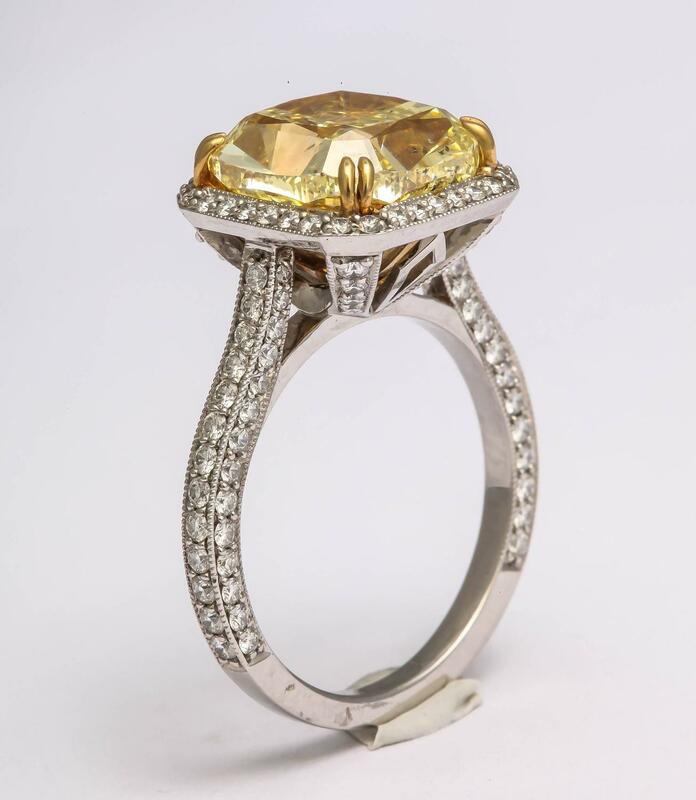 But due to the interplay of cut and color are also very good or good cut diamond highlights and extremely valuable. The grinder therefore ensure that colour distribution is particularly harmonious, is an intense color when looking at the table of the diamond. Especially good are for so-called fancy cuts, such as the radiant – or Cushionschliff. Colored diamonds in the oval or heart cut are also very popular. 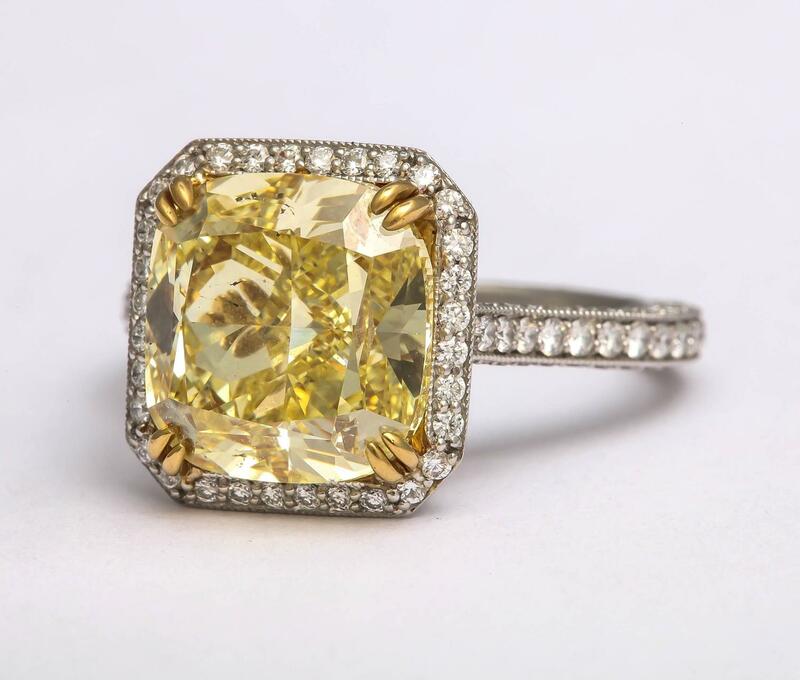 Fancy diamonds are rare and therefore more expensive in brilliant -, Emerald – and princess cut. These forms will make it hard especially the grinder to highlight the color perfectly. 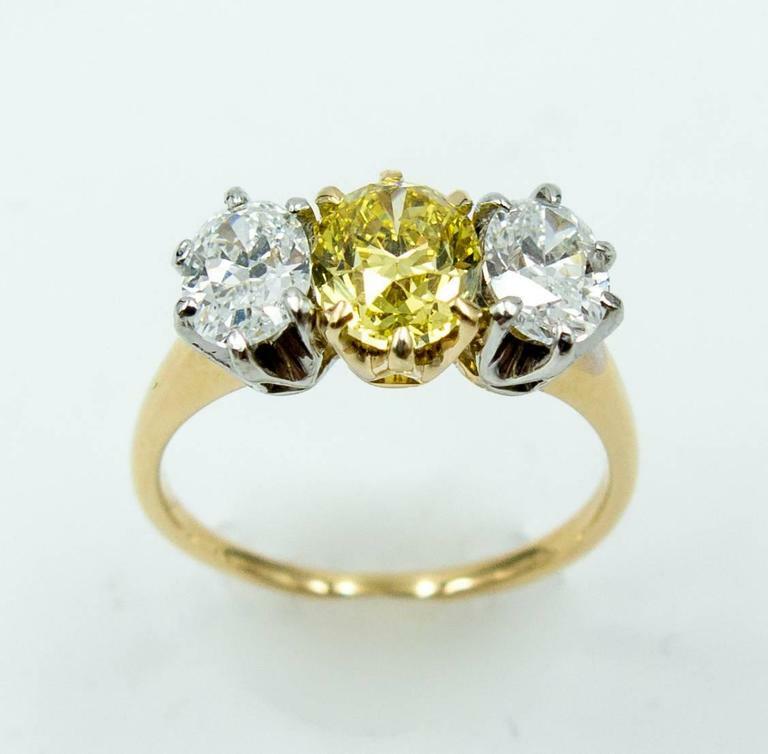 The purity of colored diamonds seems not so much on the value of a diamond, as colorless or white diamonds. 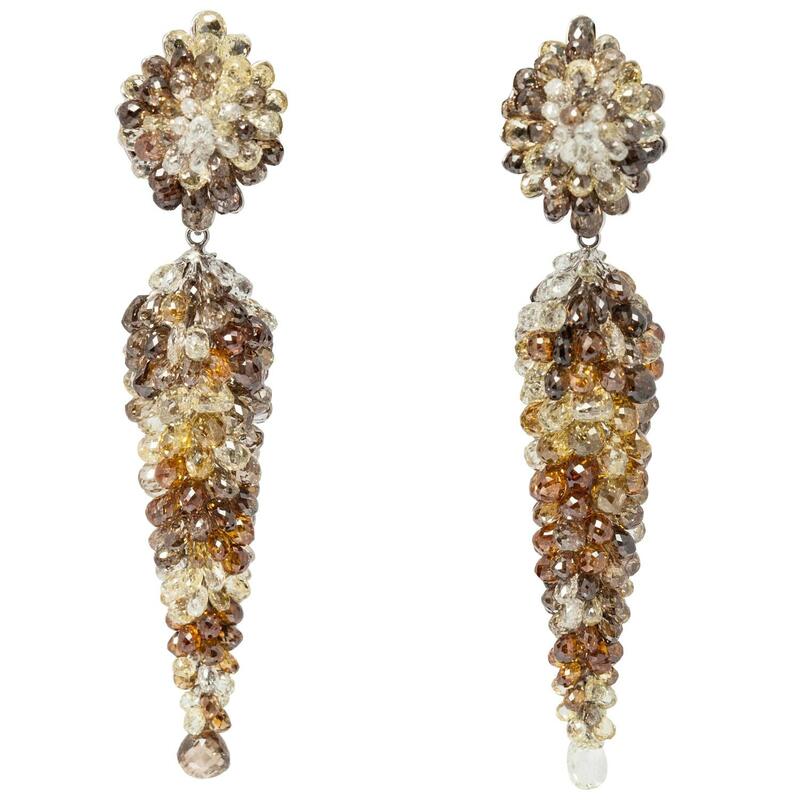 Inclusions not necessarily negatively affect the quality. You may however do not affect the play of colours and the brilliance of the diamonds and not be visible with the naked eye. The carat size, also, it arrives on your personal wishes and ideas. 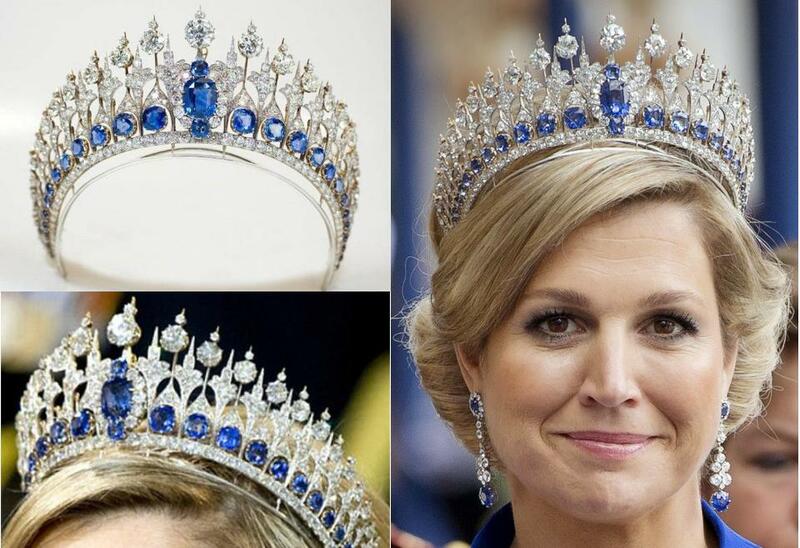 But they also incorporated less strongly in the evaluation of a Fancy diamonds, as the criteria of color and cut. When choosing a colored diamond for your piece of jewellery are mainly your taste and your personality. 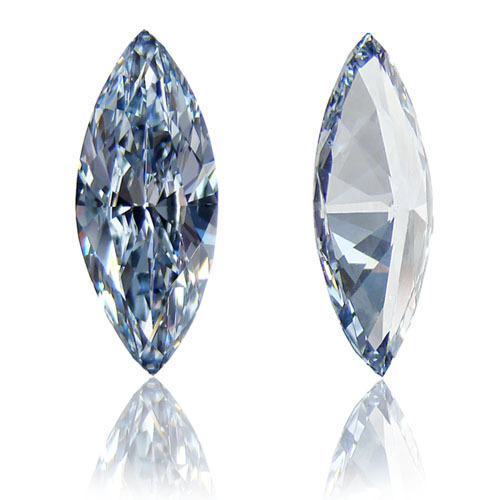 For the benefit of a particularly beautiful and intense color smears in the carat size are often accepted. Because a small but impressive sparkling diamond is often more beautiful than a large Fancy Diamond, whose Farbe emits less intense. But even brighter diamond exude an unmistakable beauty and are priced mostly behind the more intensive shades. 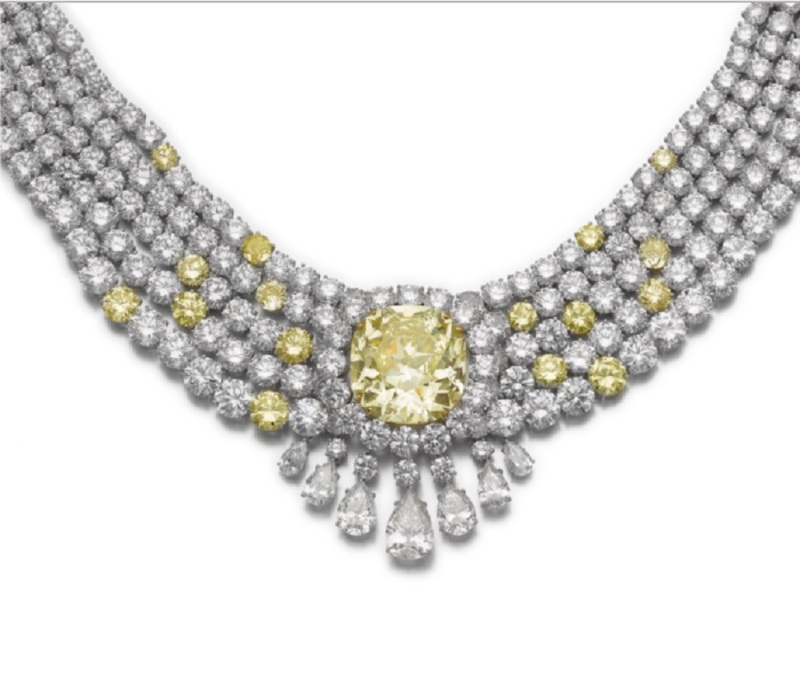 The value of colored diamonds has not fallen yet so far since their discovery. For over 20 years, there is a continuous increase in value. 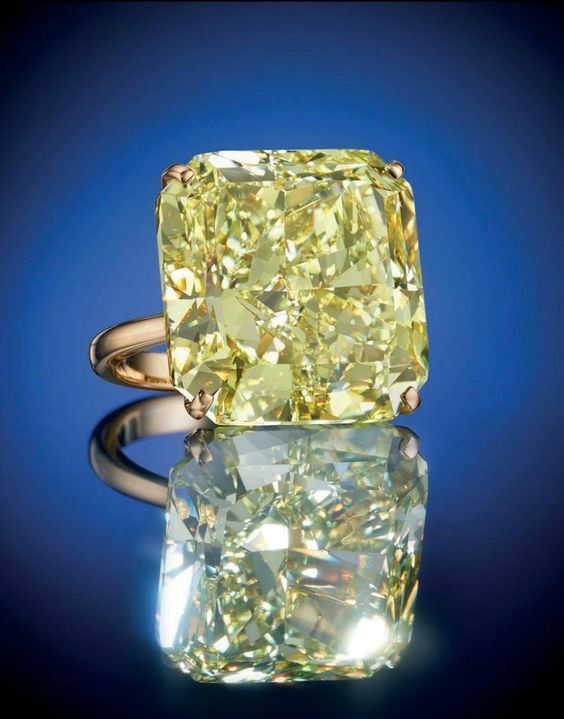 These show the record prices, including fancy diamonds are regularly sold on auctions. 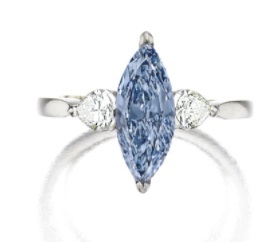 Thus a rare Blue Diamond called “Blue Moon” in an auction by Sotheby’s auction house changed its owner recently’s for the equivalent of 40 million euros. 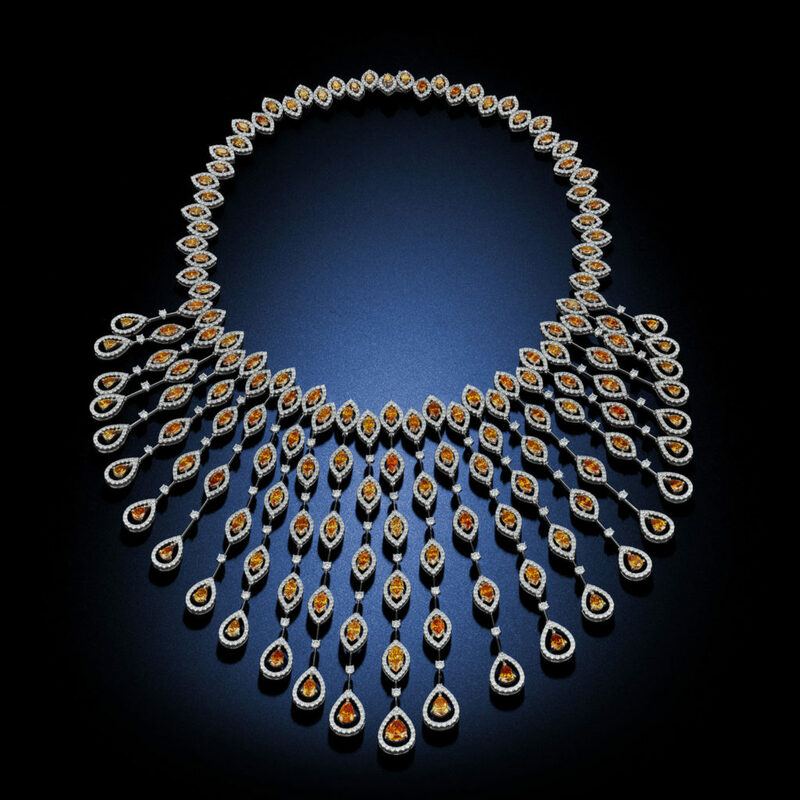 According to Sotheby’s was the highest price per carat, which was paid for diamonds of this way. 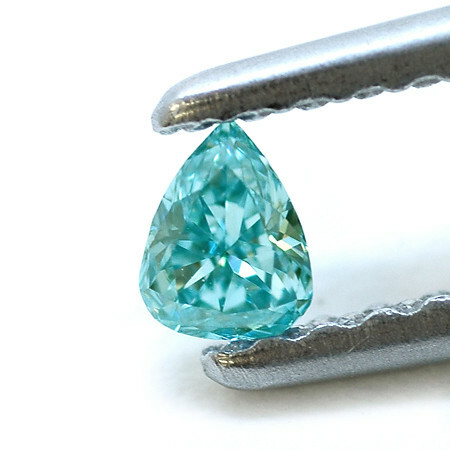 The “Blue Moon” quick has the most popular as well as the rarest color expression of blue diamonds “Fancy Vivid Blue”. 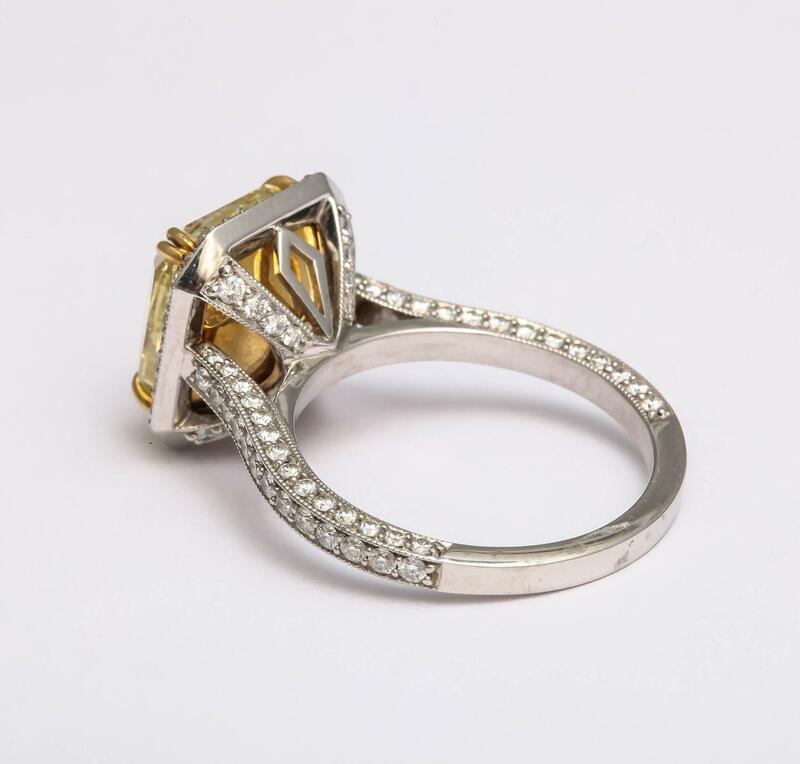 At RENÉSIM, you will receive impressive Fancy diamonds in the color and the cut of your choice. Through our network of over generations, we have many contacts and a large database, where we will find the perfect colored diamonds for you. Gladly we cover this in an individual piece of jewellery. 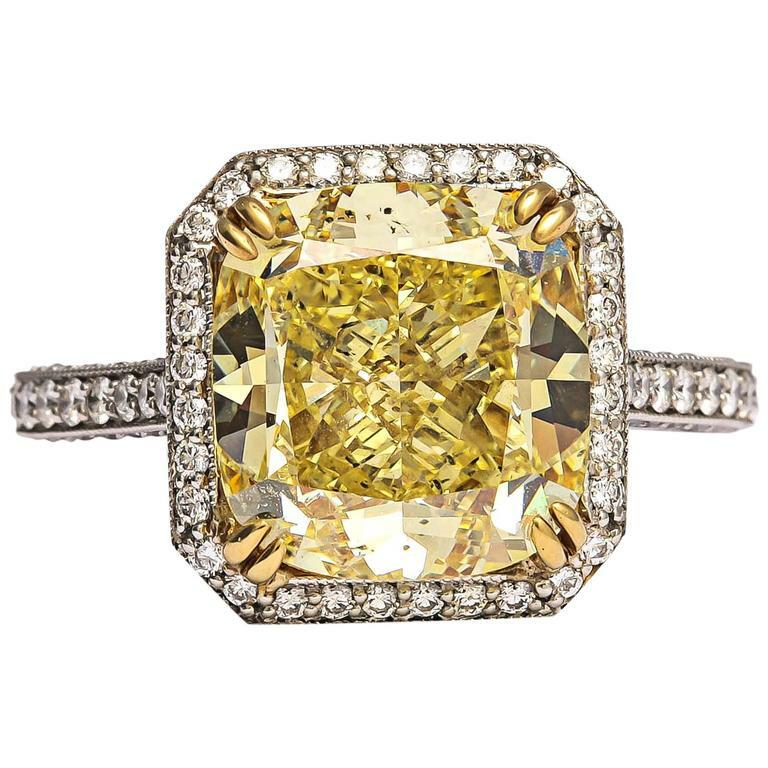 Are you looking for a diamond in an impressive color? Contact us by phone (+ 49 (0) 89 1222 893 0), email or visit us in our showroom in Munich. 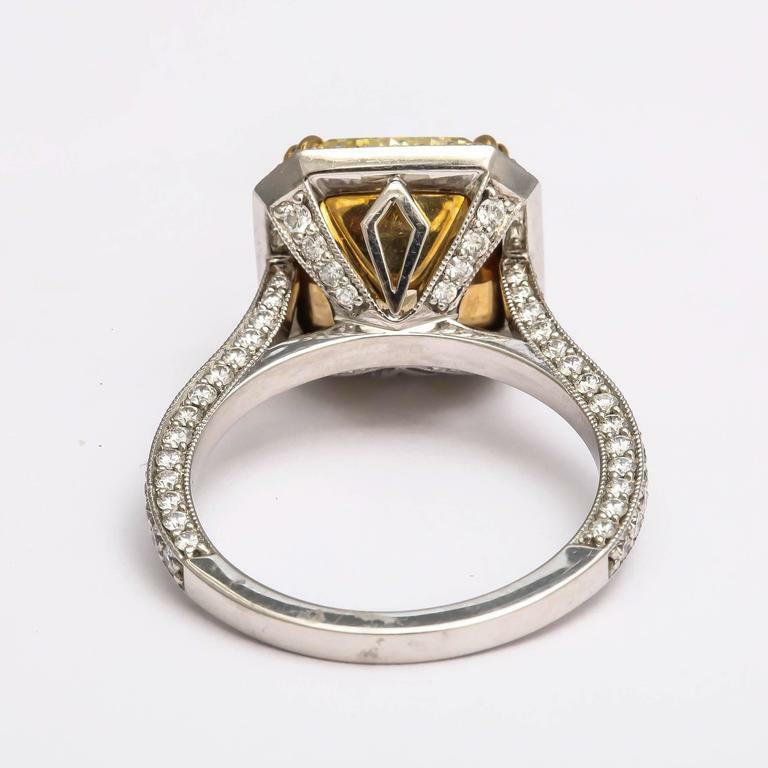 After you color, shape, Carat number and your asking price have called us, our service team in our database looking for the perfect Fancy Diamond and assembles a personal offer to you. As also at our colorless diamonds, you get of course only certified Fancy diamonds. 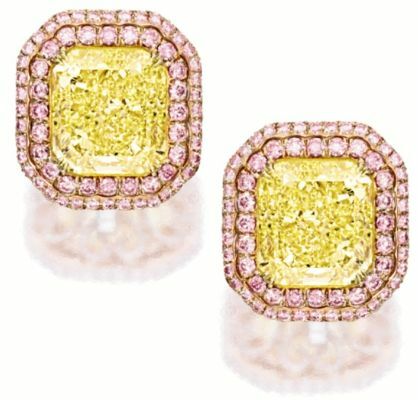 Colored Diamonds: Only For The Super Rich?